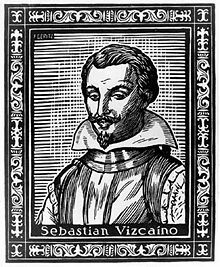 Sebastián Vizcaíno (1548–1624) was a Spanish soldier, entrepreneur, explorer, and diplomat whose varied roles took him to New Spain, the Philippines, the Baja California peninsula, the California coast and Japan. 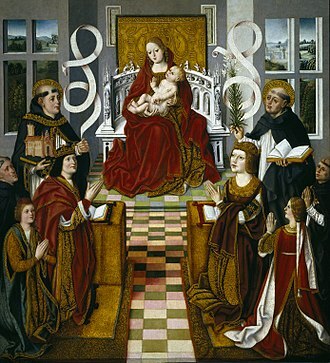 Vizcaíno was born in 1548, in Extremadura, Crown of Castile (Spain). 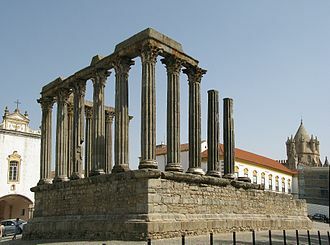 He saw military service in the Spanish invasion of Portugal during 1580–1583. Coming to New Spain in 1583, he sailed as a merchant on a Manila galleon to the Philippines in 1586–1589. In 1587, he was on board the Santa Ana as one of the merchants when Thomas Cavendish captured it, robbing him and others of their personal cargoes of gold. 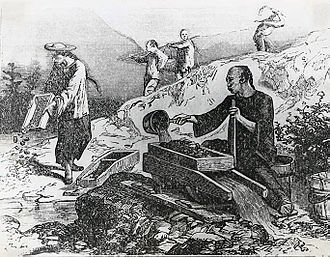 In 1593, the disputed concession for pearl fishing on the western shores of the Gulf of California was transferred to Vizcaíno. He succeeded in sailing with three ships to La Paz, Baja California Sur in 1596. 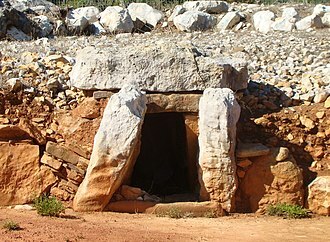 He gave this site (known to Hernándo Cortés as Santa Cruz) its modern name and attempted to establish a settlement. However, problems of resupply, declining morale, and a fire soon forced its abandonment. 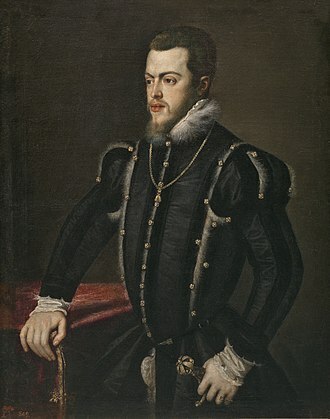 In 1601, the Spanish Viceroy in Mexico City, the Conde de Monterrey, appointed Vizcaíno general-in-charge of a second expedition—-to locate safe harbors in Alta California for Spanish Manila galleons to use on their return voyage to Acapulco from Manila. He was also given the mandate to map in detail the California coastline that Juan Rodríguez Cabrillo had first reconnoitered 60 years earlier. He departed Acapulco with three ships on May 5, 1602. His flagship was the San Diego and the other two ships were the San Tomás and the Tres Reyes. On November 10, 1602, Vizcaíno entered and named San Diego Bay. Sailing up the coast, Vizcaíno named many prominent features such as the Santa Barbara Channel Islands, Point Conception, the Santa Lucia Mountains, Point Lobos, Carmel River and Monterey Bay (thus obliterating some of the names given these same features by Cabrillo in 1542). He was the first person in recorded history to note certain ecological features of the California coast such as the Monterey cypress forest at Point Lobos. The commander of the Tres Reyes, Martín de Aguilar, became separated from Vizcaíno and continued up the coast to present-day Oregon as far as Cape Blanco and possibly to Coos Bay. Much of what we know about Vizcaíno's Pacific Coast voyage is from the diary of Antonio de la Ascensión, a Carmelite friar, chronicler and cosmographer who traveled with the expedition. 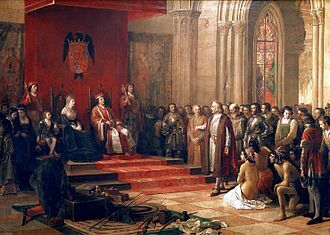 One result of Vizcaíno's voyage was a flurry of enthusiasm for establishing a Spanish settlement at Monterey, but this was ultimately deferred for another 167 years after the Conde de Monterrey left to become Viceroy of Peru and his successor was less favorable. A colonizing expedition was authorized in 1606 for 1607, but was delayed and then canceled in 1608. 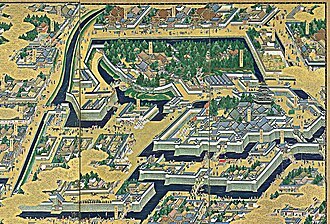 In 1611, Vizcaíno carried a Japanese delegation led by Tanaka Shōsuke from Mexico back to Japan. In an ambassadorial capacity, Vizcaíno met with the shōgun Tokugawa Hidetada and his father, the retired first shōgun, Tokugawa Ieyasu, founder of the Tokugawa dynasty. 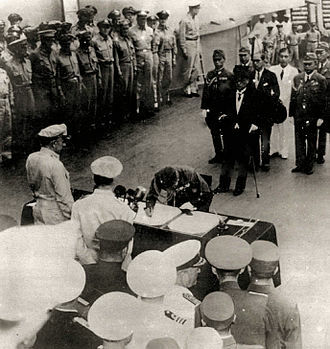 However, diplomacy soured due to Vizcaíno's disregard of Japanese court etiquette. 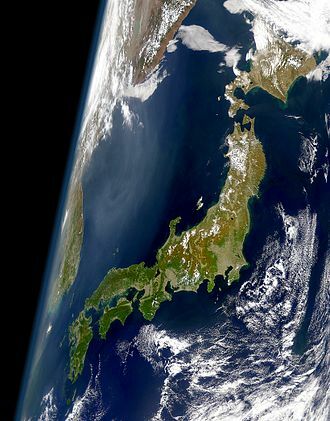 After taking his leave in 1612, he surveyed the east coast of Japan and searched for two mythical islands called Rico de Oro and Rico de Plata. Failing to find them, he returned to Japan. 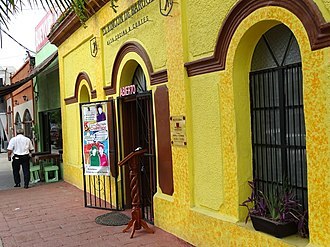 In 1613, Vizcaíno accompanied the Japanese embassy led by Hasekura Tsunenaga to Mexico. 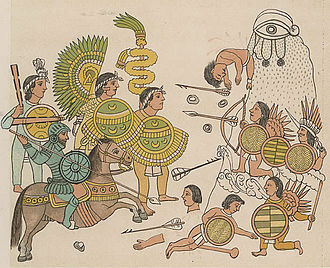 In Acapulco, Vizcaíno was seriously injured in a fight with the Japanese, as recorded by 17th-century Aztec historian Chimalpahin in his journal, "Annals of His Time." The Japanese entourage continued to Mexico City, and embarked a ship at Veracruz bound for Europe. On November 11, 1616, Vizcaíno commanded 200 men at the port of Salagua against an attack by 200 Dutch pirates. In the afternoon, both sides ran out of ammunition. 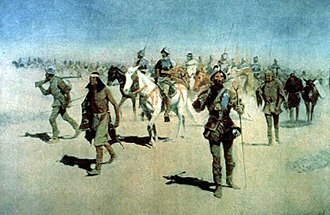 Vizcaíno's men retreated after the Dutch returned with more ammunition. Sebastián Vizcaíno died in 1624 in Mexico City, New Spain. ^ LaLande, Jeff. "Cape Blanco". The Oregon Encyclopedia. Retrieved April 28, 2014. ^ English edition online at American Journeys, exerpted from "Spanish Exploration in the Southwest, 1542-1706", by Herbert Eugene Bolton (editor). (New York: Charles Scribner's Sons, 1916). Pages 104-134. Chapman, Charles E. (1920). "Sebastian Vizcaino: Exploration of California". The Southwestern Historical Quarterly. 23 (4): 285–301. Cook, Warren L. (1973). Flood Tide of Empire. Yale University Press. pp. 9–11. Cutter, Donald C. (1978). "Plans for the Occupation of Upper California A New Look at the "Dark Age" from 1602 to 1769". 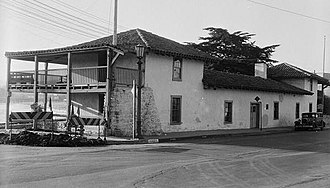 The Journal of San Diego History. San Diego Historical Society. 24 (1). Gerhard, Peter (2003). Pirates of New Spain, 1575-1742. Mineola, NY: Dover Publications. pp. 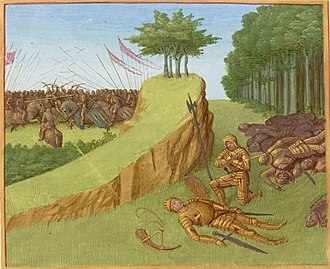 117–119. ISBN 0-486-42611-4. Hayes, Derek (2003). Historical Atlas of the North Pacific Ocean. p. 31. Mathes, W. Michael (1965). 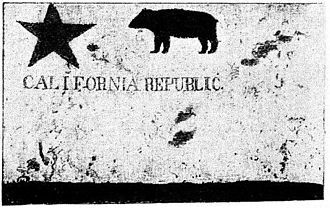 Californiana I: documentos para la historia de la demarcación comercial de California, 1583-1632. Madrid: José Porrúa Turanzas. Mathes, W. Michael (1968). Vizcaíno and Spanish Expansion in the Pacific Ocean, 1580-1630. California Historical Society. Wagner, Henry R. (1928). "Spanish Voyages to the Northwest Coast in the Sixteenth Century. Chapter X: The Antecedents of Sebastian Vizcaino's Voyage of 1602". California Historical Society Quarterly. 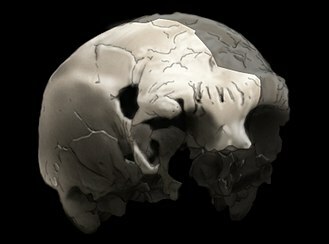 7 (3): 256–276. The Santa Lucia Mountains or Santa Lucia Range is a rugged mountain range in coastal central California, running from Monterey County southeast for 105 miles into central San Luis Obispo County. It includes Cone Peak, which at 5,158 feet tall, the range forms the eastern boundary of the Big Sur region, and was a barrier to exploring the coast of California for early Spanish explorers. The Santa Lucia Mountains are part of the Outer South California Coast Ranges and its northern section runs parallel to the southern section of the Diablo Range, part of the Inner South Coast Ranges, which lies to the east across the Salinas Valley. The ranges highest summit is Junipero Serra Peak,1,784 metres in Monterey County, Cone Peak features the steepest coastal elevation in the lower 48 United States, rising nearly a mile above sea level, only three miles from the Pacific Ocean. The first European to document the Santa Lucias was Juan Rodríguez Cabrillo in 1542 while sailing northward along the coast on a Spanish naval expedition. Cabrillo originally named the portion of the range the Sierras de San Martín, as he was passing the area on 11 November. He named the northern part Sierras Nevadas because there was snow on it, the present name for the range was documented in 1602 by Sebastián Vizcaíno, who had been tasked by the Spanish to complete a detailed chart of the coast. Passing by the range on 14 December, he named the range Sierra de Santa Lucia in honor of Saint Lucy of Syracuse. The first European land exploration of Alta California, the Spanish Portolà expedition, prevented from continuing north along the coast by the rugged Big Sur cliffs, the party turned inland, finding a rugged pass northeastward through the mountains. The rough trail required much improvement by the scouts, and it was September 24 before the party emerged from the mountains at the San Antonio River near todays settlement of Jolon. Like all other Pacific Coast Ranges, these mountains are close enough to the Pacific Ocean and high enough to force incoming moisture upward, making the west side wet and this creates a rain shadow over Salinas Valley to the east, which is considerably drier. 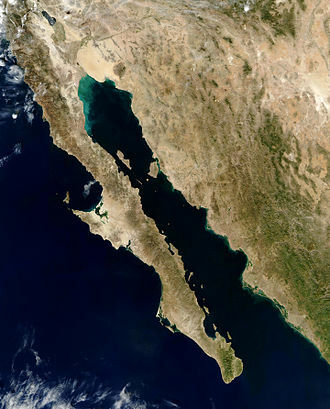 The Gulf of California is a body of water that separates the Baja California Peninsula from the Mexican mainland. It is bordered by the states of Baja California, Baja California Sur, rivers which flow into the Gulf of California include the Colorado, Mayo, Sinaloa and the Yaqui. The gulfs surface area is about 160,000 km2, the Gulf is thought to be one of the most diverse seas on the planet, and is home to more than 5,000 species of micro-invertebrates. 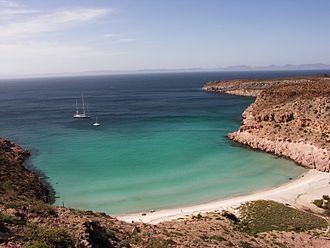 Home to over a people, Baja California is one of the longest peninsulas in the world. 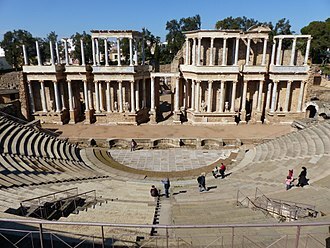 Parts of the Gulf of California are a UNESCO World Heritage Site, the International Hydrographic Organization defines the southern limit of the Gulf of California as, A line joining Piastla Point in Mexico, and the southern extreme of Lower California. The Gulf of California is 1,126 km long and 48–241 km wide, with an area of 177,000 km2, a depth of 818.08 m. Transition zones exist between regions, and they usually vary for each individual species. The temperature of the water in the Gulf of California generally experiences lows of 16 °C in winter, but temperatures can vary greatly in the gulf, and the water is almost always warmer by the coast than the open ocean. For example, the waters surrounding La Paz reach 30 °C in August, while the waters in neighboring city Cabo San Lucas, the northern Gulf of California will go through significantly cold winters. The water in the Northern Gulf can sometimes drop below 8 °C, the animals most susceptible to the large decrease in water temperature include macroscopic algae and plankton. As part of process, the East Pacific Rise propagated up the middle of the Gulf along the seabed. This extension of the East Pacific Rise is often referred to as the Gulf of California Rift Zone, the Gulf would extend as far as Indio, except for the tremendous delta created by the Colorado River. This delta blocks the sea from flooding the Mexicali and Imperial Valleys, volcanism dominates the East Pacific Rise. The island of Isla Tortuga is one example of ongoing volcanic activity. Furthermore, hydrothermal vents due to extension tectonic regime, related to the opening of the Gulf of California, are found in the Bahía de Concepción, the narrow sea is home to a unique and rich ecosystem. The Carmel River is a 36 mi river on the Central Coast of California in Monterey County that originates in the Ventana Wilderness Area of the Santa Lucia Mountains. The river flows northwest through the Carmel Valley with its mouth at the Pacific Ocean south of Carmel-by-the-Sea and it is often considered the northern boundary of Big Sur. The Carmel River drains a watershed of about 255 square miles, the river was visited on January 3,1603 by Spanish maritime explorer Sebastián Vizcaíno, whose written account greatly exaggerated its proportions, confusing explorers. 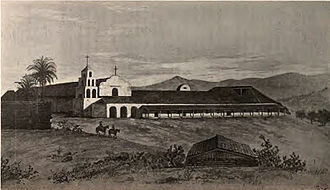 Vizcaino named it Rio del Carmelo, likely because his voyage was accompanied by three Carmelite friars, in 1771 Fathers Junípero Serra and Juan Crespí moved Mission San Carlos Borromeo de Carmelo from Monterey to its present site by the Carmel River. 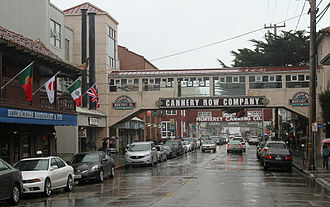 In his 1945 novel Cannery Row John Steinbeck wrote The Carmel is a little river. It isnt very long but in its course it has everything a river should have, the Carmel River had three dams, with their reservoirs used for drinking water and having severe sediment buildup. The San Clemente Dam, built in 1921, was located 18.5 miles upstream from the ocean and it was the second of three dams built on the Carmel River, preceded by the Old Carmel River Dam built in the 1880s and the Los Padres Dam in 1949. The San Clemente Dam had a capacity of 1,450 acre·ft, but as of 2002. State regulators declared in 1991 that it was in danger of collapsing in an earthquake, the Los Padres Dam, built in 1949, is located 25 miles upstream from the ocean. Its original capacity was 3,030 acre feet, but as of 2008, the oldest dam on the river, which was used as a turnout for a water pipeline, is located approximately 2,000 feet downstream of San Clemente Dam. This first dam and associated pipeline was constructed ca.1880 by Charles Crocker and this small dam, which has been referred to as the Chinese Dam and Old Carmel River Dam, was built using hewn and mortared granite blocks. Remnants of the iron pipe still exist along Carmel Valley Road. Carmel Bay State Marine Conservation Area Hydrological transport model List of rivers of California U. S.
While members of Magellans, Loaisas and Loyolas expeditions had preceded Cavendish in circumnavigating the globe, it had not been their intent at the outset. His first trip and successful circumnavigation made him rich from captured Spanish gold and treasure from the Pacific and his richest prize was the captured 600 ton sailing ship the Manila Galleon Santa Ana. He was knighted by Queen Elizabeth I of England after his return and he set out for a second raiding and circumnavigation trip but was not as fortunate and died at sea at the age of 31. Cavendish was born in 1560 at Trimley St Martin near Ipswich and his father was William Cavendish, a descendant of Roger Cavendish, brother to Sir John Cavendish from whom the Dukes of Devonshire and the Dukes of Newcastle derive their family name of Cavendish. When Thomas Cavendish was 12 he inherited a fortune from his fathers estate, at the age of 15 he entered Corpus Christi College, remaining for two years, but did not take a degree. After leaving school at age 17, he spent most of the next 8 years or so in luxurious living and he was a Member of Parliament for Shaftesbury, Dorset, in 1584. In 1585 he sailed with Sir Richard Grenville to aid in the colonization of Roanoke, gaining valuable experience. He was a member of Parliament for Wilton,1586, by July 1586 Spain and England were in a war which would culminate with the Spanish Armada and its threatened invasion of England in 1588. Cavendish determined to follow Sir Francis Drake by raiding the Spanish ports and ships in the Pacific, after getting permission for his proposed raids, Cavendish built a 120-ton sailing ship, with 18 cannons, named the Desire. He was joined by the 60 ton,10 cannon, ship Content, with his three ships and 123 men he set out from Plymouth, England on 21 July 1586 and reached the Strait of Magellan on 6 January 1587. He anchored first at the island of Santa Magdalena near present-day Punta Arenas, there, in two hours, they killed and salted two barrelfuls of penguins for food. In 1587 there were two Manila galleons, the San Francisco and the Santa Ana, unfortunately both encountered a typhoon on leaving the Philippines and were wrecked on the coast of Japan. Only the Santa Ana was salvageable and after repairs resumed her voyage, upon reaching the Gulf of California in October 1587 Cavendish and his two ships put in at an island above Mazatlan where they careened their ships to clean their bottoms and made general repairs. They had to dig wells for water and they sailed for Cape San Lucas on the Baja Peninsula and set up patrols to see if they could spot the Manila galleon. Early on 4 November 1587 one of Cavendishs lookouts spotted the 600 ton galleon manned with over 200 men, after a several hour chase the English ships overhauled the Santa Ana—which conveniently had no cannons on board, in order to carry the added cargo. Because of the disparity in size the Content and Desire had to pick. One hundred and ninety Spaniards, and Filipino crewmen, were set ashore with food and some weapons in a location where they had water, Cavendish kept with him two Japanese sailors, three boys from Manila, a Portuguese traveler familiar with China, and a Spanish pilot. San Buena Ventura was built on the model of Liefde (depicted here), the ship on which William Adams originally reached Japan. Hasekura Tsunenaga's portrait during his embassy in 1615, by Claude Deruet, Coll. Borghese, Rome. A replica of the Japanese-built galleon San Juan Bautista, in Ishinomaki, Japan. An engraving from Henry Holland's Herōologia Anglica (1620). Animum fortuna sequatur is Latin for "Fortune follows the spirited." 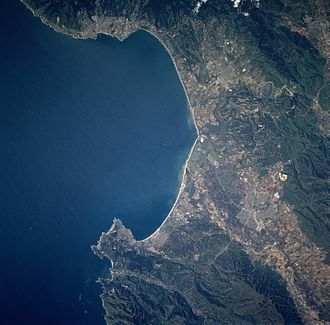 Point Conception and the Gaviota Coast from the air, looking SW. Lighthouse is visible in blowup (click) at top left center. To left (west) is Government Point, which partly encloses Cojo Bay. The Santa Ynez Mountains extend east (left) towards Santa Barbara.